JOHOR BARU: Six Indonesian crew members are missing when an Equatorial Guinea-registered tanker vessel sank 4.6 nautical miles from Pengerang, Johor at about 5am today due to explosion in its engine room. 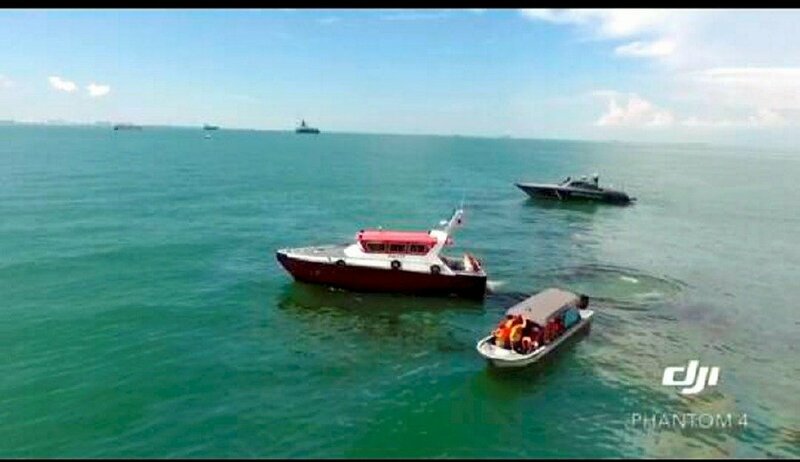 Malaysian Maritime Enforcement Agency (MMEA) deputy director-general Rear Admiral Maritime Datuk Mohd Taha Ibrahim said the agency was alerted by the Singapore Police Coast Guard about the vessel, MT Putri Sea, catching fire after an explosion. The vessel was sailing on the waters of Tanjung Pengelih, Pengerang at the time. "The tanker ship registered in Malabo Port, Equatorial Guinea was carrying fuel and was believed to have sunk 4.6 nautical miles off Pengerang waters after an explosion where fire engulfed the vessel's main engine room," he said. "A patrol boat from Tanjung Sedili D7 Maritime District was deployed immediately but when they arrived at the location they could not find the ship identified as MT Putri Sea," he said. Taha said they believed the ship had sunk based on the trail of fuel on the ocean surface. He said the six crew members on board were all Indonesians aged between 28 and 39 years, and all are still missing. "A search and rescue operation has been activated to locate the missing ship crew members," he said.